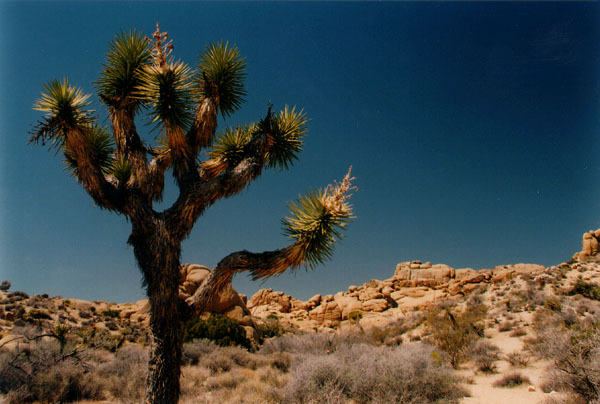 Joshua Trees are ancient and primitive looking. You half expect to see dinosaurs roaming between them, attacking Jeff Goldbloom. The are named for some religious figure Joshua who held his arms in the air. The spines reminded the early settlers of this Joshua guy. The trees mass for attack. 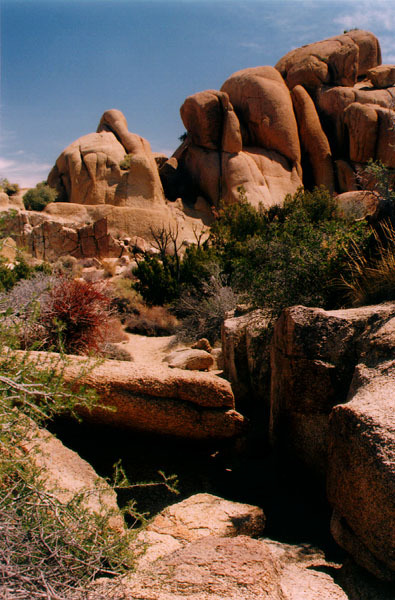 The bizarre rock formations add to the other-worldish feeling. 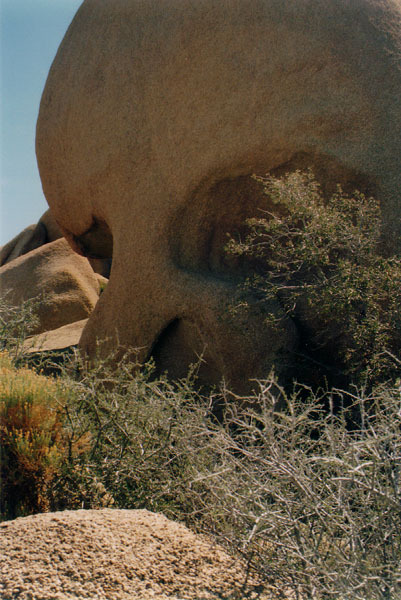 Skull Rock. Trust me, it looks more like a skull in this picture than it does when you first see it. You've got to get the angle just right and turn the imagination on full. 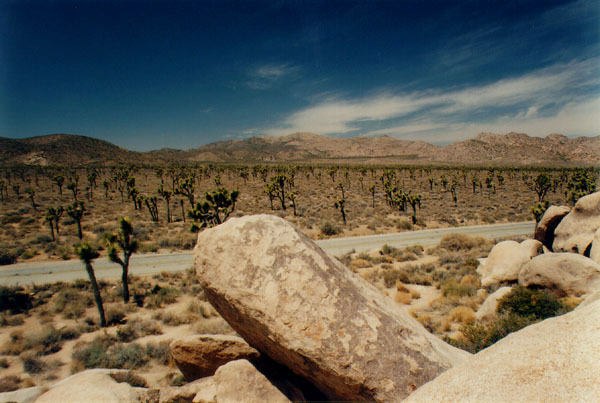 Lonely folks, 'dem desert dwellers, to find this.